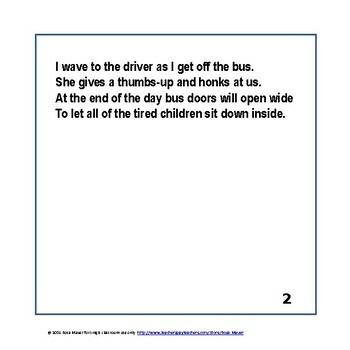 This 14-page book in rhyming format is all about workers at school. Young children learn about jobs they see every day. Use the powerpoint slide show to read the book as a whole class. 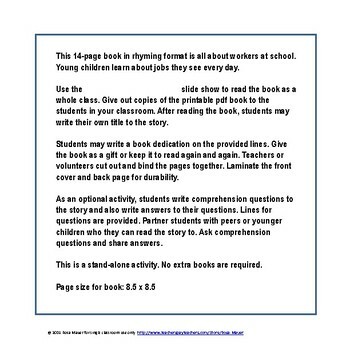 Give out copies of the printable pdf book to the students in your classroom. After reading the book, students may write their own title to the story. Students may write a book dedication on the provided lines. Illustrate each page of the story. Give the book as a gift or keep it to read again and again. Teachers or volunteers cut out and bind the pages together. Laminate the front cover and back page for durability. 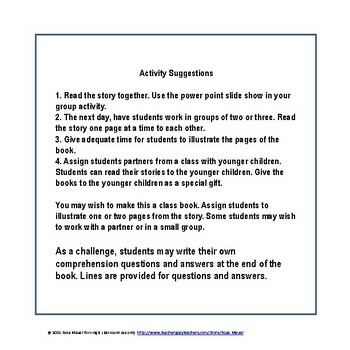 As an optional activity, students write comprehension questions to the story and also write answers to their questions. Lines for questions are provided. Partner students with peers or younger children who they can read the story to. Ask comprehension questions and share answers. This is a stand-alone activity. No extra books are required. 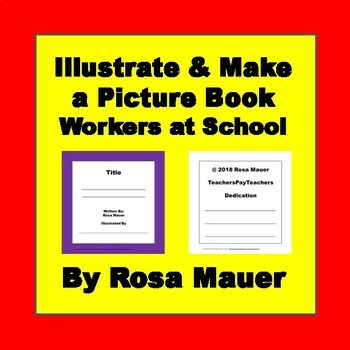 Click here for more Make and Take picture books to read and illustrate. Save money and time by using classroom tests and materials again and again.